Dr. Anthony Law did his law studies in Hong Kong (LLB, PCLL and PhD, the University of Hong Kong) and Australia (LLM, the University of New South Wales). 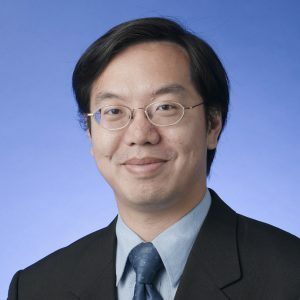 Before joining The Chinese University of Hong Kong (CUHK) Business School, he has taught law at the City University of Hong Kong and the Open University of Hong Kong (Li Ka Shing Institute of Professional and Continuing Education). He joined the Business School in 2004 and has been teaching business law for undergraduate students as well as business and company law for postgraduate students since then. He has published books/book chapters (some works are co-authored) on a number of law areas, including contract law and tort law, in recent years. In addition, he has served as the BBA-JD Programme Director. Anthony Law (2018), Contract Law in Hong Kong 香港合約法 (Expanded Edition), 中華書局(香港)有限公司, pp. 483, caps. 22. Anthony Law (2015), 香港侵權法, 中華書局(香港)有限公司, pp. 506, caps. 20. Anthony Law (2013), Contract Law in Hong Kong 香港合約法, 中華書局(香港)有限公司, pp. 321, caps. 22. 戴耀廷, 羅敏威 (2011), The Legal System of the Hong Kong Special Administration Region 香港特區的法律制度, 中華書局(香港)有限公司, pp. 219, caps. 20. Anthony Law (2009), The New Discussion of Human Rights Law in Hong Kong 香港人權法新論, City University Press, pp. 396, caps. 15. Anthony Law (2005), “A Breath of Fresh Air,” Hong Kong Lawyer, 82-88. Anthony Law (2005), “The DBS Safe Deposit Box Debacle: An Unfolding Tale of Exemption Clauses, Disclaimers and Consumer Protection,” Hong Kong Lawyer, 2, pp. 49-57. Anthony Law (2005), “The Laws relating to Public Place Obstruction and Police Arrest Power following the Falun Gong Case 隨著法輪功案件之後的公眾地方阻街及警察拘捕權,” Hong Kong Lawyer, pp. 51-58. Anthony Law (2004), “Racial Discrimination and the Right to Equality,” Hong Kong Lawyer, 12, 89-98. Anthony Law (2003), “The Right to Trial Without Undue Delay must not be Compromised by Judicial Budgetary Constraints,” Hong Kong Lawyer, 3, 6-9. Anthony Law (2003), “The SARS Control Measures and their Human Rights Implication,” Hong Kong Lawyer, 8, 64-70.